Provide comfort for the family of Mr. Gary Hamilton with a meaningful gesture of sympathy. Mr. Gary Lee Hamilton, age 62 years, passed away peacefully in St. Joseph's Hospice on Sunday, January 27, 2019 with his family by his side. Gary was born in Fort William on December 1, 1956. He was employed by Nova-Pro Industrial Supplies. Gary truly loved his job and missed everyone when his illness forced him to leave. He enjoyed darts and reading a good book. He was also a long standing member of the A.N.A.F. 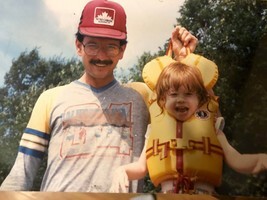 In his younger years, Gary enjoyed the outdoors, especially camping and fishing. Above all else, family and friends were most important to Gary. He will be deeply missed by all who knew him. Gary is survived by his wife of 35 years, Donna (nee Sutherland); children Jennifer and Lee; mother Gerd and siblings Carol (Robert), Susan and Larry (Deidre) as well as numerous nieces, nephews and other relatives. He was predeceased by his father, Gordon. Funeral Services for the late Mr. Gary Hamilton will be held on Thursday, January 31, 2019 at 11:00am in the WESTFORT CHAPEL, 420 West Gore Street at James. Should friends so desire, donations made in memory of Gary to the Canadian Cancer Society would be greatly appreciated. 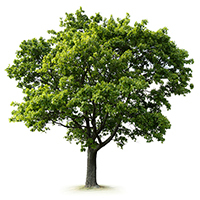 To plant a memorial tree in honor of Mr. Gary Lee Hamilton, please visit our Heartfelt Sympathies Store. We encourage you to share your most beloved memories of Mr. Gary here, so that the family and other loved ones can always see it. You can upload cherished photographs, or share your favorite stories, and can even comment on those shared by others. Our Heart goes out to you and your family at this difficult time.